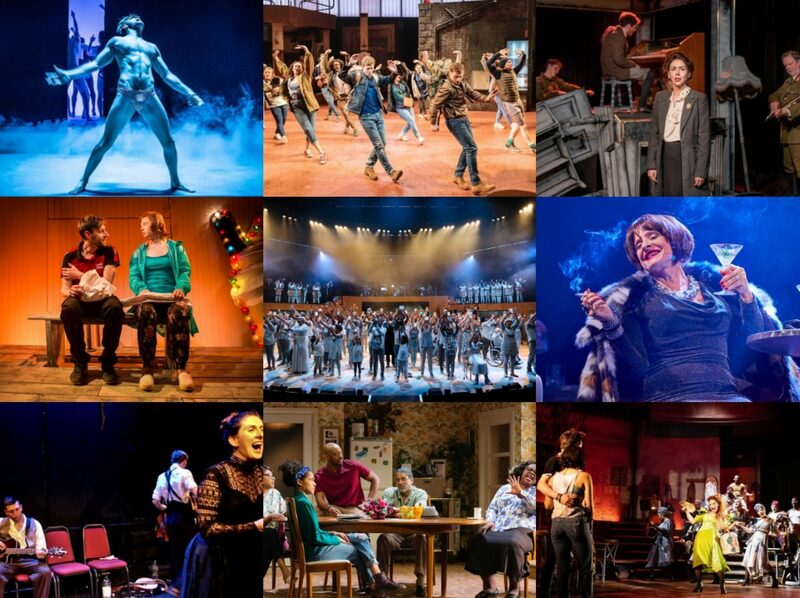 Sampling the best musical theatre that this country has to offer can prove to be a time-consuming business as it is increasingly the case that some of the best work is being done by theatres outside of London. Sheffield, Chichester and Leicester have all made it onto my theatres that I regularly visit now and after this stellar in-house production of Howard Goodall’s The Hired Man (in a co-production with Leicester’s Curve), it seems that Colchester’s Mercury Theatre might be joining that list. It helps that the show can lay claim to being one of the best new British musicals of recent decades – Goodall’s sweeping, folk-tinged score marries strikingly with Melvyn Bragg’s book, based on his own novel inspired by the tough life of his grandfather in the Cumbrian hills, and what results is a work of hugely elegiac beauty. 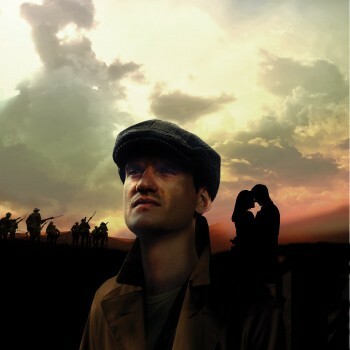 Stretching from 1989 through to 1921, The Hired Man covers a definitive period of British history in depicting the often grim realities of life in the more rural areas of the country at a time of great social and economic upheaval. David Hunter’s John and Julie Atherton’s Emily are a newly married couple determined to make a new life for themselves but find themselves struggling to scrape a living in a fast-changing world. Jobs working the land are harder to come by, replaced by more dangerous work down the mines and the looming First World War changes everything for all families. But against these major events are contrasted the more intimate personal stories of this family, as the vibrant Emily finds herself disillusioned with the realities of married life and John’s devotion to his work whilst ruggedly handsome men like Kit Orton’s Jackson pay her flirtatious attention. The presence of Atherton should give a clue as to why I made my first trip to Colchester (a surprisingly nice place to visit, lots of great charity shops) as I have long held that she’s one of our finest musical theatre actresses and making a rare foray in period MT was something I was not prepared to miss. And she did not fail to deliver, investing a bruisingly raw emotion into Emily that grips the heart and never lets go. Hunter’s John was also impressively sung, the power in his voice suiting the simple driven nature at the heart of this man, and their’s was a thoroughly believable relationship – tempestuous, full of compromise, essentially rooted in love. Director Daniel Buckroyd first directed this show in 2008 in a much smaller production but though it has been scaled up for bigger theatres, it retains much of the intimacy of a chamber piece which suits the mood of the show perfectly. Mark Dymock’s lighting is highly effective and Juliet Shillingford’s starkly simple design of slates allows for an extremely clever piece of staging later in the show. The tight bond of the ensemble, many of whom take on actor-musician duties in providing musical accompaniment, perfectly reflects the sense of community that lies at the heart of the story – the aforementioned Orton shines throughout and I really enjoyed Mark Stobbart’s lively Isaac and Jill Cardo’s tender May. Richard Reeday’s musical direction and additional musical arrangements are heart-rendingly beautiful, the carefully structured harmonies, the subtle layering of the instrumentation – Rachael Gladwin’s harp deserves special mention – everything ensures that the score soars where necessary, rouses the emotion and should move even the hardest of hearts. Too often, reviews like these round off by saying this show ought to transfer into London but enough, they need and deserve to be supported in the theatres where they are happening here and now rather than waiting for a future that might never happen. So get investigating trains to Colchester or to Leicester (where as the show will be playing in the intimate Studio it ought to be even better) and sample some of the best musical theatre that Great Britain has to offer.